2007: A MD 530F helicopter operated by Blackwater USA is shot down by insurgents in Baghdad. All six men onboard are killed, possibly executed after surviving the initial crash. 2003: The final communication is made between Earth and Pioneer 10, a spacecraft intended to fly past Jupiter. It was launched in 1972, and its last trajectory would have the craft the first artificial object to leave the solar system. 2001: Yemenia Flight 448, a Boeing 727-200, is hijacked by an Iraqi man armed with a pen gun after takeoff from Sana’a International Airport. Among the 101 people onboard are the United States Ambassador to Yemen, the US Deputy Chief of Mission to Yemen, and the Yemeni Ambassador to the US. 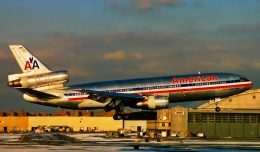 The hijacker is overpowered and arrested after the plane makes an emergency landing in Djibouti. 1990: Two Blue Angels jets collide during a practice flight at NAF El Centro, California. 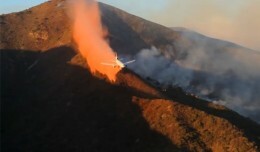 One plane is destroyed but the pilot ejects safely. The other plane suffers damage but lands safely. 1982: World Airways Flight 30, a McDonnell Douglas DC-10 (reg N113WA) flying from Newark, New Jersey to Boston Logan, crashes on landing. 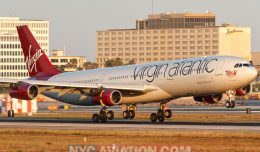 After landing too far down the runway and getting “poor to nil” braking action, the pilots would decide to steer the plane off the runway to avoid the approach lights. This would send the aircraft and its 212 souls into the harbor, where it would break apart, killing two people whose bodies are never found. 1957: A Lanica Airlines DC-3 (reg AN-AEC) crashes into the Concepcion Volcano in Nicaragua, killing all 16 onboard. 1951: Chesley Burnett “Sully” Sullenberger, III is born in Denison, Texas. 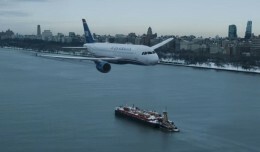 In 2009, as a US Airways Captain, Sullenberger would instantly become one of the most famous airline pilots in history after guiding his stricken Airbus A320 to a safe landing in the Hudson River. 1951: First flight of the Douglas F4D Skyray, a carrier-based supersonic fighter/interceptor and the first US Navy aircraft that could fly at Mach 1 in level flight. 1948: First flight of the de Havilland Australia DHA-3 Drover, a tri-motor, short-haul airliner. 1941: Famed pilot and anti-war activist Charles Lindbergh testifies before the U.S. Congress, recommending that they negotiate a neutrality agreement with Adolf Hitler. 1939: First flight of the Douglas A-20 Havoc, an attack, light bomber and night fighter aircraft that would play a key role in World War II. Nearly 7,500 would be built and flown by the United States Army Air Forces, the Soviet Air Force, the Royal Air Force and the French Air Force. 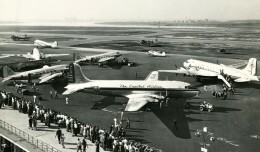 Douglas would later build a civilian airliner version called the DC-5. 1934: First flight of the Berliner-Joyce XF3J biplane fighter for the US Navy. The Navy would pass on further development, and the prototype would be the only one built. 1925: First flight of the Blériot 118, an amphibian flying-boat fighter. The French Navy rejects the design for being unstable in flight. 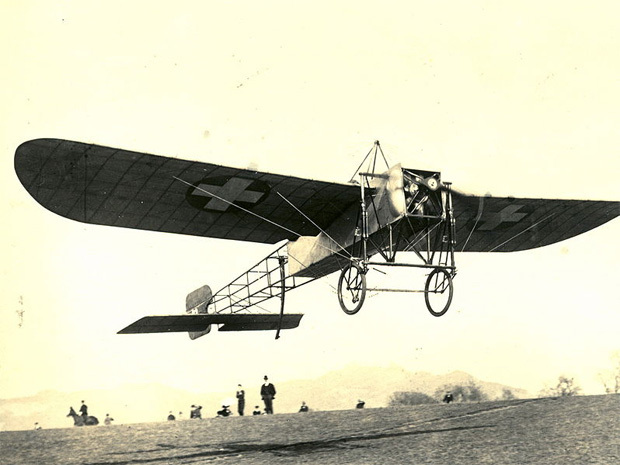 1909: First flight of the Blériot XI. Months later, an XI piloted by Louis Blériot would become the first plane to cross the English Channel. Happy birthday wishes to hero, Captain “Sully” Sullenberger. Wishing you many more years of trouble-free flying! Another Birthday is coming up. Happy Birthday to you! I work at a company called Echelon Jets, http://echelonjets.com and we may just write a news blog for you.